The J.W. 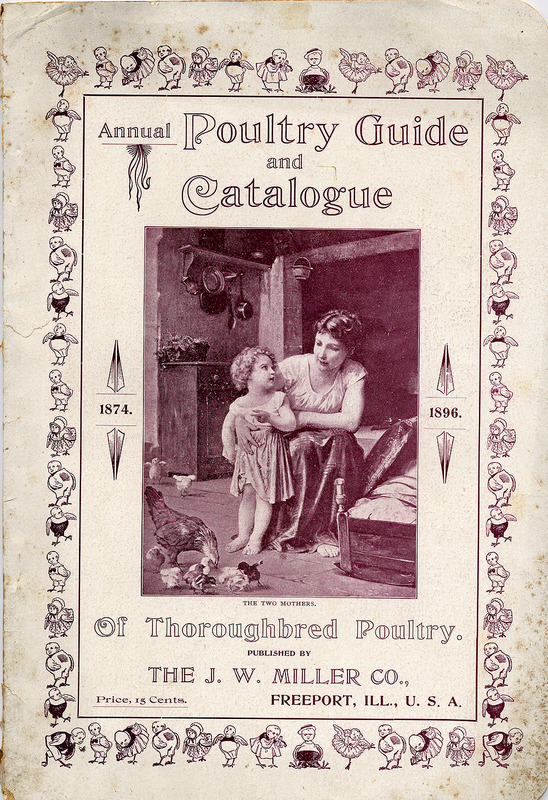 Miller Co., Annual Poultry Guide and Catalogue of Thoroughbred Poultry, 1896, Front Cover. It seems appropriate to feature this poultry catalog from 1874, which features an incubator that resembles an upright piano, as well as the impressive advertising tagline, "People Live and Learn." About chickens, presumably. The catalog, part of the Libraries trade literature collection at its National Museum of American History Library, is also featured in the Libraries' online collection, Seed Catalogs. But most impressive to me is the design border featuring human hybrid chicken-babies!